Ada pertanyaan untuk Season Five Hotel? Terletak di Jalan Pantai Pattaya, Season Five Hotel merupakan tempat yang sempurna untuk menikmati Pattaya dan sekitarnya. Hotel ini tidak terlalu jauh dari pusat kota, hanya 2.4 km dari sini dan umumnya hanya membutuhkan waktu 90 menit untuk mencapai bandara. Dengan lokasinya yang strategis, hotel ini menawarkan akses mudah ke destinasi yang wajib dikunjungi di kota ini. Di Season Five Hotel, pelayanan istimewa dan fasilitas yang unggul akan membuat pengalaman menginap Anda tidak terlupakan. Untuk kenyamanan para tamu, hotel ini menawarkan WiFi gratis di semua kamar, satpam 24 jam, layanan kebersihan harian, layanan taksi, akses mudah untuk kursi roda. Season Five Hotel memiliki 95 kamar tidur yang semuanya dirancang dengan citarasa tinggi. Banyak diantaranya memberikan kenyamanan seperti ruang penyimpanan pakaian, teh gratis, handuk, sandal, kopi instan gratis. Baik Anda yang menyenangi kebugaran atau hanya ingin bersantai setelah beraktivitas sepanjang hari, Anda akan dihibur dengan fasilitas rekreasi kelas atas seperti pusat kebugaran, lapangan golf (sekitar 3 km), kolam renang luar ruangan, pijat, kolam renang anak. Nikmati pelayanan tidak terbandingkan dan penginapan yang sungguh bergengsi di Season Five Hotel. I stayed here overnight for a day trip. 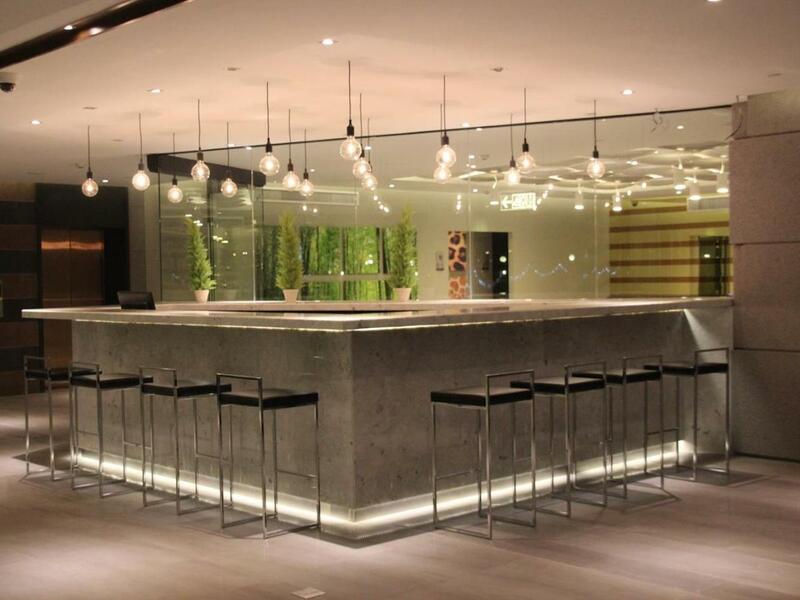 Very clean contemporary design hotel. The room is very well-kept nice design and the bed is a bit on the firm side. My only criticism is the shower area in the bathroom as there is no curtain or partitian so water easily goes onto the floor next to the toilet. Breakfast was very simple and sufficient. Location, big room and comfortable. Enjoy our stay but the noise from the club nearby create sleepless nights. This is something unavoidable. Light sleeper should avoid this hotel. And when we check out, the housekeeping claimed that hanger and hand towel were missing from our rooms. We found the item when we check the room ourself with the manager. Please improve the check out process. And probably due to language barrier staff not too attentive or helpful too. Great location for the price. Had no issues with the service they were on point everytime I called. Of course you have to put about 1,000 baht down. I actually was able to check in almost 4 hours before the check in time. Breakfast was so-so, you could get fresh cooked eggs if you ask and only if you knew to ask. other wise like a continental breakfast , Bread, cereal, and drinks. The bathroom was a nice lay out, BUT it did not work, and this was my second and last time to stay there, The bathtub has no curtain, so water splashes everywhere, the floor is supposed to drain, but it doesn't. So while it may be clean when you get there, after the first shower, you walk in water to use the bathroom until the next day when it is cleaned again. This would be an expensive fix to redo the floor, but a not so expensive shower curtain would help. Also they rooms have a balcony with sliding doors to go out, Nice except in my room the door latch was broken, so we could not latch it. I told the front desk and also told them of a simple cheap fix, I hope they do it. It has a lot to offer, it just needs a manager who is more customer centered. Reception staff were not very friendly or helpful. Room was ok and spacious but it can be a bit awkward climbing in and out of the bathtub to take a shower and everytime i used the shower the floor would fill with water. I only ate breakfast there twice and it upset my stomach both times. The rooftop pool was nice and never to busy. The hotel is still quite new and clean the rooms are spacious. I would not stay there again and would not recommend it to anyone. 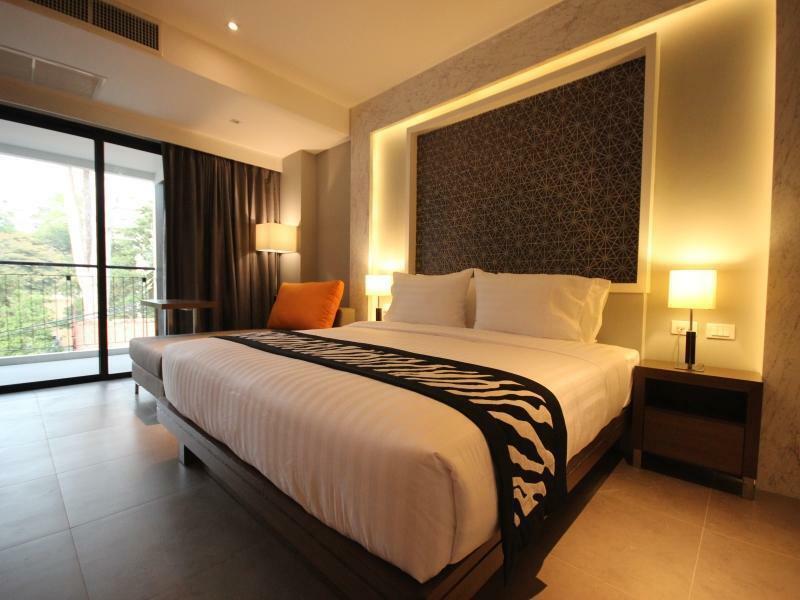 There are many other nicer hotels to stay in Pattaya for the same money. Lot of potential there for a good manager to work with. Only spent enough time in the room to sleep, stayed one night. I didn't have any guests and didn't have any problems with check-out or receiving back my 1K baht cash deposit. works well for what I needed. Hotel was absolutely lovely everything was brand new and spotless! Rooms were gorgeous with amazing bathroom. It's at the quieter end of the strip if u don't want to be directly in the hustle and bustle like us but still plenty going on and many bars around. Only thing was we found the hotel very quiet not sure if it's because we stayed not long after opening but we literally had the pool to ourself everyday. Could be abit quiet if you want more going on in hotel but we loved it! Spent a long weekend here. Was just about OK, no more. The showers are extremely badly designed. Its a shower where you have to climb into a bath to use, very inconvenient if youre older or not totally fit.....but then, when the shower is running, more of the water goes on the floor than onto you, making it very dangerous and slippery when you climb out of the bath. I accidentally made a small mark on a bed sheet, something that would easily wash out, and yet they charged me several hundred baht for "damaging" their sheet ( it wasnt damaged at all!). As I say, just about OK, but there miust be many better options in Pattaya at the price I paid. not near the walking street but you can walk or travel by mini bus (10 bath). Anyway near the beach road so u can walk and enjoy street food. Very near Alcazar and Tiffany show. Clean, nice staff. Breakfast is ok. Large bedroom. Stayed in December 2016. liked the room spacious and clean but no blinders, no bathtub curtain (although only a two minute shower before you start flooding the bathroom). The hotel is close to Beach Road and other places where all the action is. very friendly staff even when we were being extremely loud. land of smiles! a young lady named "oi" sits at the bar and she was very entertaining and helpful and made our stay even better. of course we couldn't leave her alone. rooms are big and spacious. clean. food was good especially if your coming home at 8am a bit tipsy. pool and gym were small but still good cause we only used it during our stay. only open from 7am-7pm though. great location too. central to a lot of places. only complaint is the wifi is spotty and slow in the rooms so we spent some time in the lobby when needing the wifi. did our laundry and they did a real bad job. i think they washed it in oil because my friends and i have oil spots all over our clothes and they won't ever come off. stains of pattaya i guess. everything was good. as it is quite new, the facilities were new and in very good condition. would be better if their gym and pool operates till 10pm. My course was from 730am and i only return back to hotel at 7.00pm+ and did not get a chance to use the gym and pool. housekeepere was very nice to help me wash my socks which i left in the sink! great service! I stayed there multiple times over a week and it was great. The only criticism I would have was the bathroom. Water goes everywhere when you shower, leaving you standing in a puddle when you use the toilet. Must be a nightmare for cleaners.